Missional, counter-cultural, sacramental, and marginal … words that describe Wesley’s drive to spread holiness. The UMC faces an uncertain future. Membership is declining in the USA and Western Europe. It is growing in Africa and to a lesser extent in Eastern Europe. The declines in the financially wealthier annual conferences place not only the church’s diverse institutions under threat but also the support for the growing conferences outside the USA. The debate and divisions over LGBTQ inclusion further exacerbate the situation. It seems that no possible way forward will exclude further membership losses. Institutional and structural change will not in themselves provide solutions. What is required is the renewal of the church. A renewed vision is one that draws from the deep wells of our heritage, that includes the best of contemporary Methodism, and that creatively looks to the future. An important aspect of such a renewal is a renewed vision of who we are, a vision which inspires hope and motivates transformation. Such a vision can be rooted in John Wesley’s passion. 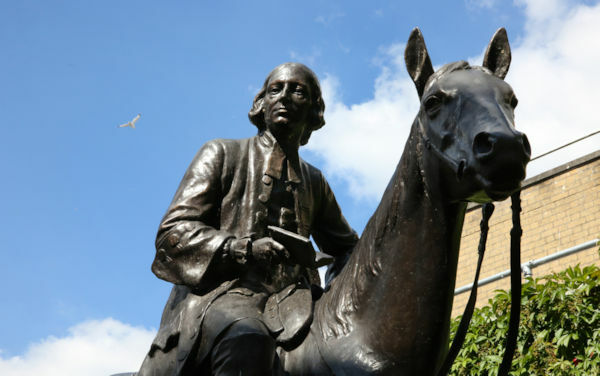 However we interpret Wesley, it is clear that he was driven by a passion: a passion that motivated him to travel thousands of miles on horseback or in a carriage in all sorts of weather; that led him to live a life of deep personal and financial self-sacrifice; that empowered him to continue to preach in the face of violent mobs; that provoked him to pour his life into the lives of communities of Methodists scattered throughout Britain; that inspired him to write a vast array of sermons, letters, books and pamphlets. We could go on. What would happen to Methodist Churches in general and the UMC in particular if the Spirit of God infused us with a similar passion?